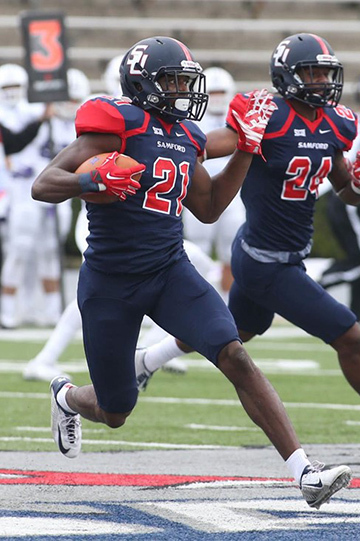 Former Samford Bulldog cornerback James Bradberry was selected by the Carolina Panthers in the second round of the 2016 National Football League draft. Bradberry told the media that he was fixing a toilet in his mother’s house when he got the call from Panthers officials. The toilet will have to be fixed by someone else as Bradberry, who was first-team All-Southern Conference this past season, pursues his dream of an NFL career. Earlier this year, Bradberry visited with Samford’s Brad Radice for a Bulldog Conversation that aired during basketball season.